Raccoons Rags: Fun with wool. So I made Layla some dreads. Trust me, this is the worst -made wig in the history of wigs, but now I've figured out a method of how to do it, I may make a few more with a bit more effort. It's a hot mess under those top layers, but it does look good when photographed, so I'll keep it as a prop. It would look great with hats too. I used King Cole Riot chunky for this. I bought some to make myself some hats, and yeah... I ended up using some of it on the dollies. Tell me about it. It's a multicoloured yarn, so I picked one with lots of brown shades in it.. I think mine is called Potash. It's a single ply too, so it looks like little dreadlocks, and they're a great scale for the doll. King Cole do a DK in this yarn too, which means thinner dreads, if you want to have a go with a smaller doll. Kaye Wiggs MSD's have SD sized heads, but a normal head-size MSD doll might look better in the DK. Anyway, she looks great in it. Now I want to sew something kind of hippie-elfish for her. Urban Elf maybe? Is that a thing? this is why I usually prefer the human dolls to elves or fauns. I find them easier to design for. Obviously Gracie wanted to get in on the act. I'm surprised this fits her, actually. But I did make the wig cap very stretchy... and I cheat with wigs. Can I keep it mum? Huh? Can I? Resin dolls heads are SO DARN SLIPPERY it drives me nuts. And those silicone wig caps don't always work, or don't always fit. 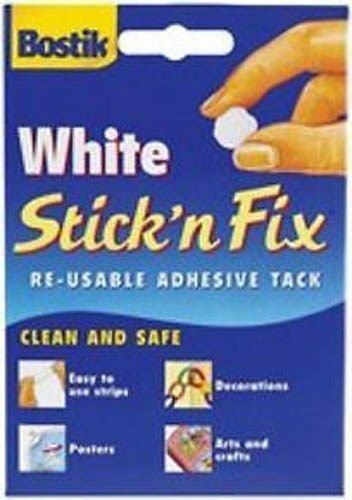 So I use - and you'll all shriek in horror when I say this - Bostik white stick-n-fix. Because it's white, it doesn't seem to stain, and it's good and sticky for holding maddeningly slippery wigs in place. That said, I don't leave it on the doll for any length of time. Two or three days at most, but more usually just for a photo session. And it doesn't seem to do any harm. I have a few more balls of the riot in different colours, and find myself tempted to make a fantasy version. Of course it would have to contain purple... and I was supposed to be making hats for myself... But summer is coming, so I suppose I can wait until October. I think it really suits Layla... not sure if it's right for Gracie though!! The wig looks fab though! Glad it's not just me who buys yarn to make something for me and then ends up using it for the dollies .... I've used the DK version of Riot. 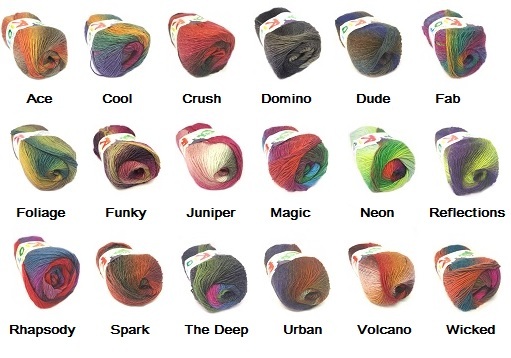 I do like a multi coloured yarn. Love the idea of an Urban Elf.... I think Layla would make a good fairy... she needs some wings!!! It's not as nice on Gracie. Maybe if I make a hat or something! Oh gosh the fabric and yarn I've bought for me that gets used for doll stuff. I've even cut up clothing because the fabric was and I quote myself here "too nice to wear" lol! Riot is lovely! I have made fairy wings in the past. Maybe she should have some.